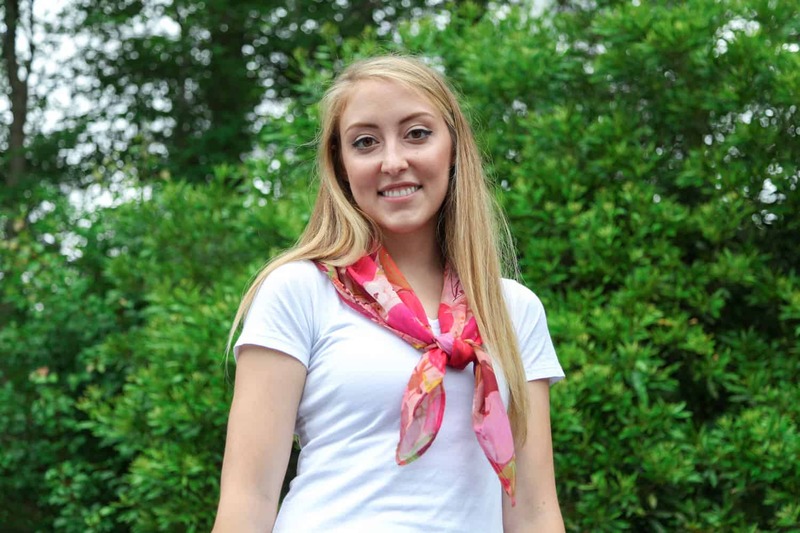 The warm weather is here and we’re all about the summertime neck scarf trend. We may have packed away our winter scarves months ago but we’re just getting started with this lightweight accessory that is the perfect way to add a pop of color to your summertime look. 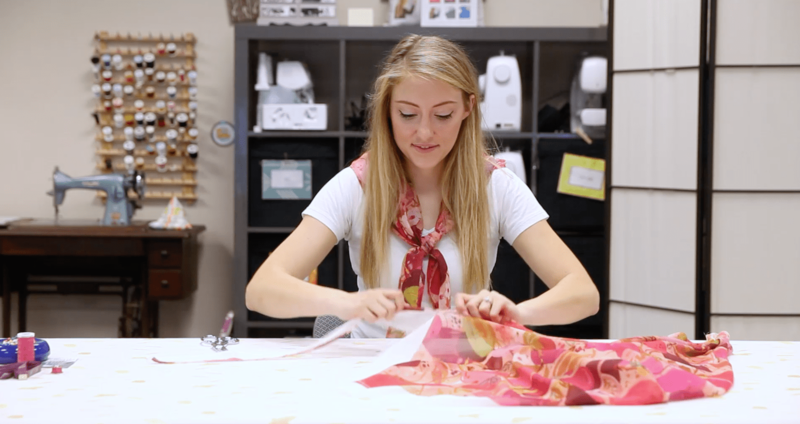 Today, we’re partnering with Allie Jackson, the sewist, maker, and blogger at www.alliemjackson.com, to share a quick and easy (not to mention beautiful) neck scarf tutorial using our newest fabric, Chiffon. It’s the perfect fit for this summer accessory. Find the video tutorial and step-by-step directions below! If you like this video, don’t forget to subscribe to our Youtube channel for more DIY tutorials and project ideas! 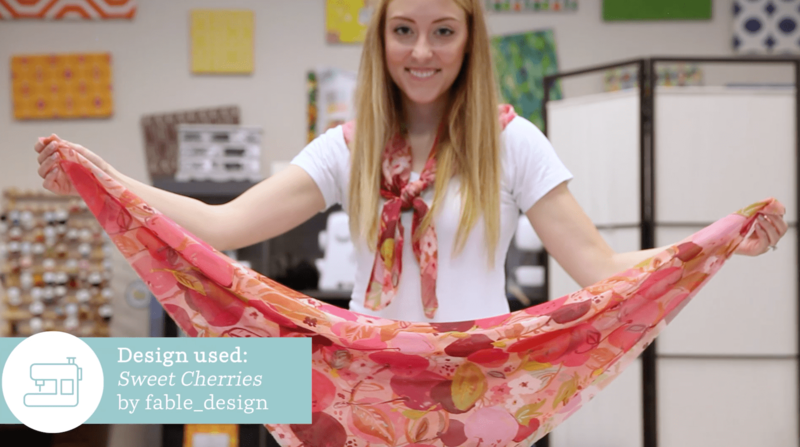 Allie: This pretty chiffon scarf is pattern-free and easy to sew, even if you don’t have a rolled hem foot. 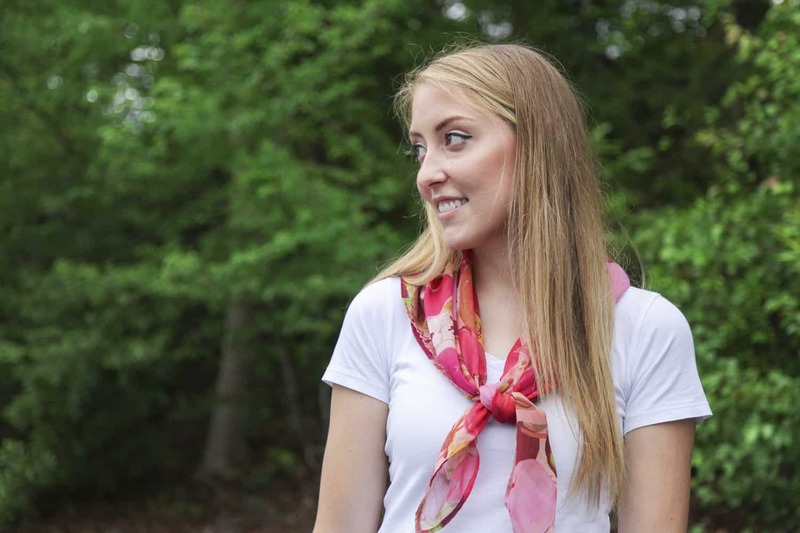 I like using scarves to add some print and color to an otherwise plain outfit, but they also make a perfect gift for your sister, mom, or friend. 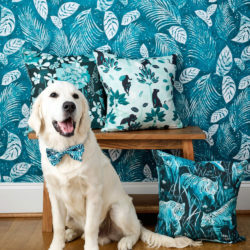 They’ll never know it only took one yard of Spoonflower’s chiffon fabric and just a few minutes to make. Let’s get started! 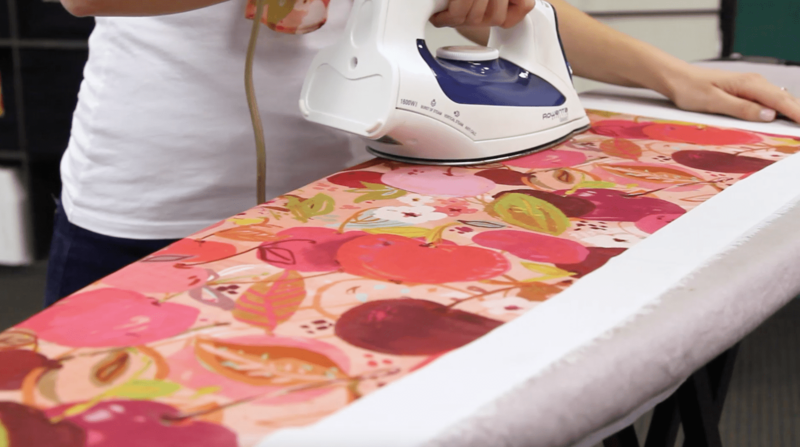 Start by pressing your chiffon with low heat using your iron’s synthetic setting to smooth out any wrinkles. 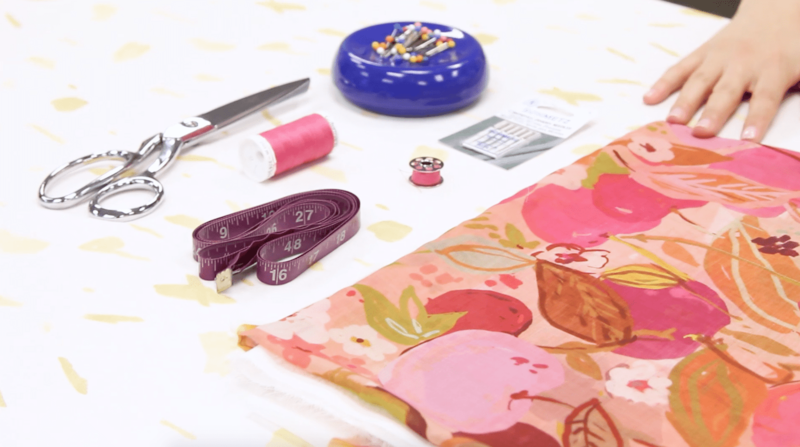 Cut or tear your fabric to the size of the scarf you want plus 1 inch in both directions for your seam allowance (for example, if you want a 12” square scarf, cut your fabric 13” by 13” inches). I want my scarf to be the biggest square possible, so I’m going to only tear off the unprinted sections of the fabric. 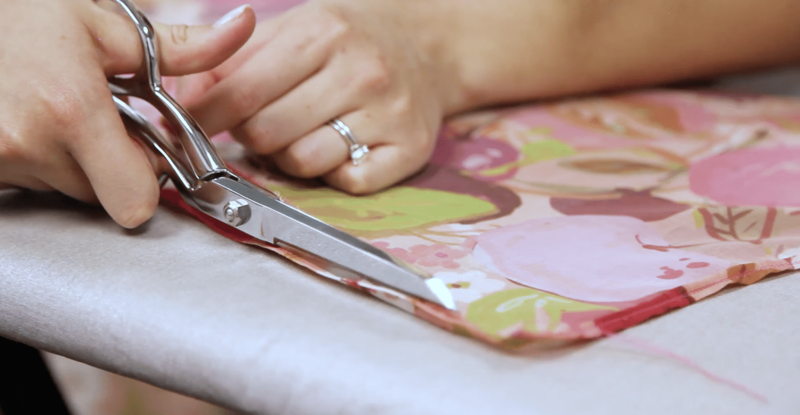 Fold your fabric in half diagonally to find the final edge dimensions of the square. 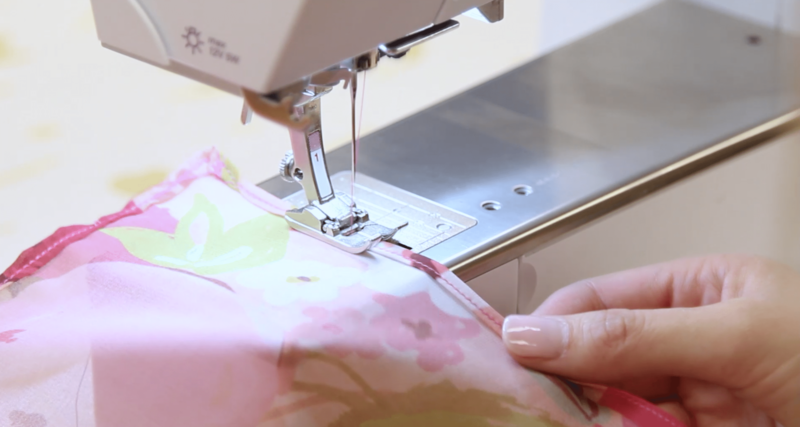 You’ll want to take the left corner of your fabric and fold it down to the right side. Next, snip and tear across the excess fabric. You should end up with an unhemmed square. 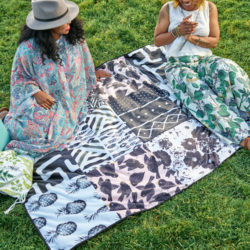 Your unhemmed square should look something like this! With your iron on a low synthetic setting, press your fabric flat, then press one edge in about ⅜ inch. Sew along the pressed edge using a 1/8” seam allowance (you can center the fabric under the foot and move your needle position to the right if you want). Trim the seam allowance as close to the seam as possible, then turn and press the tiny hem you’ve made once more. Sew on top of or just to the left of the original seam (you can sew in the same manner as before but move your needle left slightly if that works for you). Press the completed seam flat. Repeat the process of pressing and sewing the seams for all four sides. Viola! You’ve got a beautiful summery scarf! 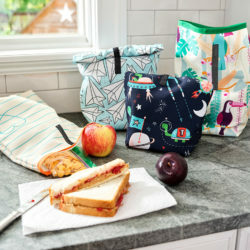 Do you have a favorite summer design from the Spoonflower Marketplace that would be perfect for a lightweight scarf? Let us know in the comments below and be sure to stay tuned for a second variation of a summery chiffon scarf next week! Meet Allie Jackson, a millennial maker building a fresh, feminine, vintage-inspired wardrobe. 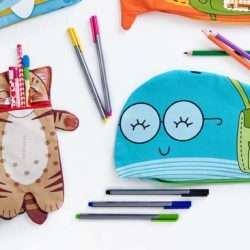 By day, Allie is a children’s librarian at a public library just down the street from Spoonflower. By night, she’s busy documenting her sewing projects inspired by the 1950s and ’60s on her blog, allie J. If there is a design we have in mind for a scarf, what do we do to order in bulk? To learn more about our wholesale ordering options, please click here. You can order any design in 1 yard increments and you can see how to place an order here. « 10 DIY Swimsuits You Don’t Want To Miss!